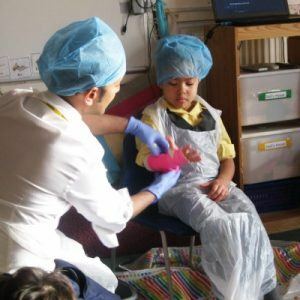 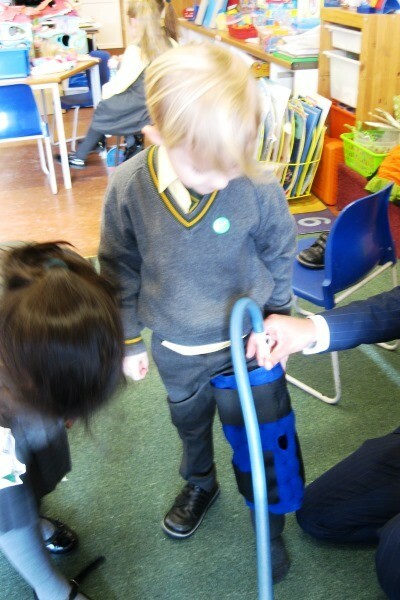 It was ‘Doctor’s Orders!’ for the children in Reception Gowland and Reception Rooks when they had the opportunity of meeting an orthopaedic surgeon! 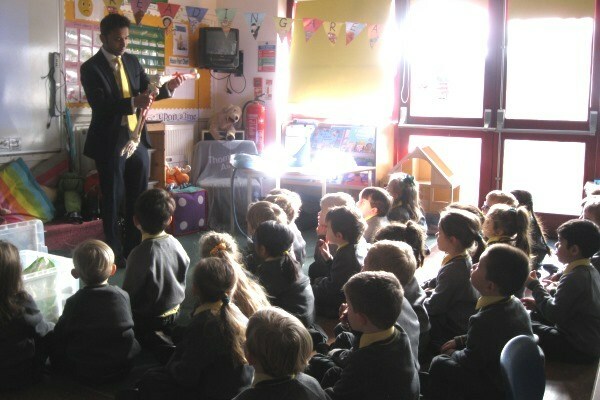 He came in to visit the children and talk about the different bones in their bodies. 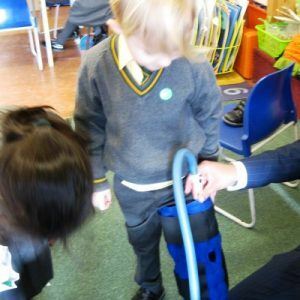 Reception’s topic this term is ‘Ourselves’, and they have been learning about the make-up of their bodies including their skeletons. 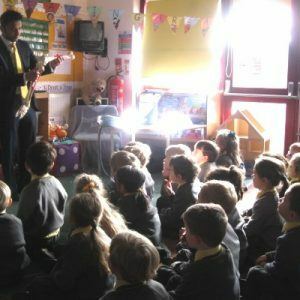 During the morning session, the children listened to facts about bones and looked at a range of bone models and x-ray pictures. 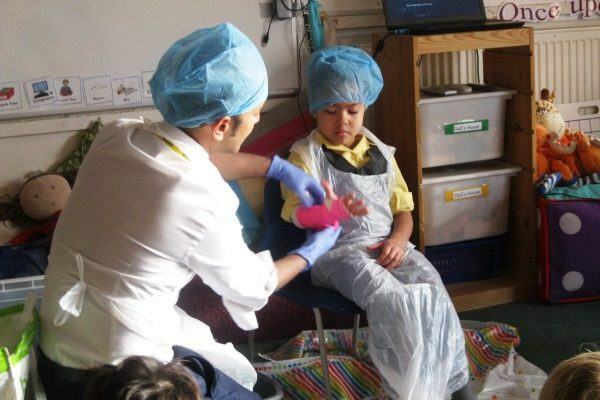 They particularly enjoyed trying on the hats and masks and watching some of their peers play in role as ‘doctors and nurses’ as they got plastered to heal a pretend broken bone! 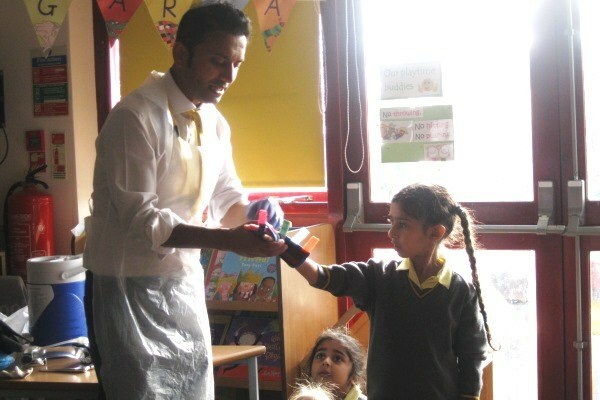 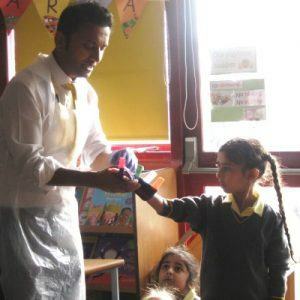 Thank you very much to Mr Alam (Iman’s daddy) for coming in to visit us and talking to us about our bodies and bones.